When a customer comes to you looking for a natural stone product with a subtle yet elegant look, you’ll want to have Giallo Napoleone granite in your inventory. Featuring burgundy flecks and highlights of light golden-yellow against an off-white background, Giallo Napoleone is a light-colored stone with low pattern variation. Additionally, it complements almost all wood finishes, both light and dark, which makes it suitable for a wide variety of applications. Giallo Napoleone granite is quarried in Nova Venezia, Brazil. It’s a coarse-grained granite which occasionally will have minor movement or veining in the slabs. The color tone in this product will remain consistent from container to container. Perfect for both business and home settings, this natural stone should be in your inventory and readily available due to its popularity among both business owners and homeowners. It’s the premiere choice for countertops or as a bathroom vanity in any location catering to children because the colors and pattern of the stone help hide the smudges and crumbs that tend to follow them. 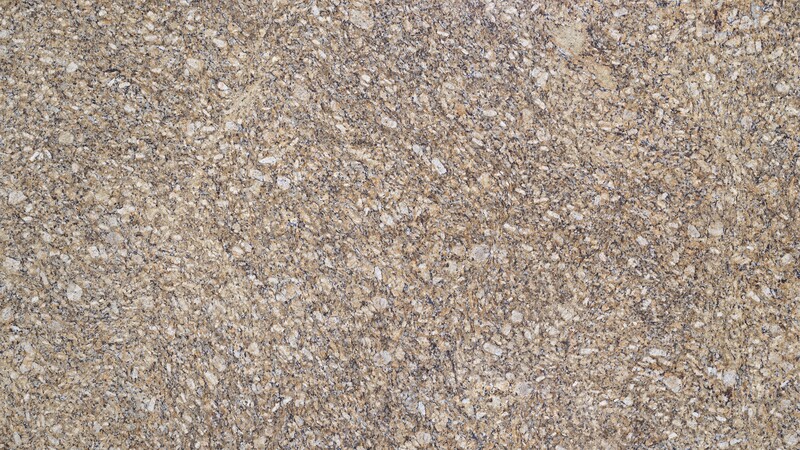 Adding Giallo Napoleone granite to your inventory will allow customers to see this beautiful stone in person as a whole slab, and due to the various colors it contains including white, gold, brown and burgundy, it complements a number of different countertop colors thereby reaching an extended customer base. Suitable for both commercial and residential applications, this stone is ideal for bathroom vanities, kitchen countertops, floors and walls, fireplace surrounds, tub and shower, bar tops, in addition to a number of outdoor uses. 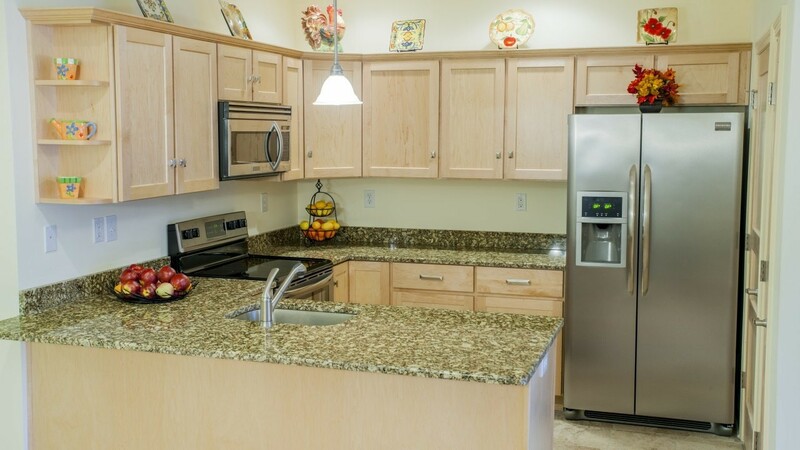 This granite is also available in tiles, which can also be used to create a beautiful and durable workstation, amazing backsplashes, and elevated counters for eating and entertaining. While most consumers will use granite for inside projects, outdoor granite features are also a popular trend, and Giallo Napoleone granite is an easy recommendation for customers searching for a natural stone to be used as paving stones or "pavers." Outdoor kitchens have also seen a rise in popularity since entertaining at home has fast become a national pastime. Of course, no outdoor kitchen would be complete without a granite countertop, and with Giallo Napoleone granite in your inventory, you’ll have an immediate answer to every homeowner’s question, “Do you have a granite that will go with everything.” Granite is perfect for outside surfaces and Giallo Napoleone granite offers the best combination of colors to blend into any outdoor landscape while offering the durability to handle any weather. Giallo Napoleon granite is also known as Amarelo Napoleon, Giallo Napoleone Golden, Giallo Napoletano, Giallo Napoleone Grande, Napoleone Yellow, and Napoleon Gold. Giallo Napoleon Granite can be processed to produce a variety of finishes, including polished, sanded, honed, and tumbled. An epoxy resin is typically applied to the surface of the stone during the polishing process to fill any natural pitting, fissures, or cracks. Like other natural stones, Giallo Napoleone granite countertops should be sealed with a penetrating sealant following installation to prevent staining and extend longevity. The sealant should be reapplied up to two times annually and regular daily cleaning with soap and water is just fine for this natural stone.